Welcome to Fort Jesus Pictures, Mombasa! 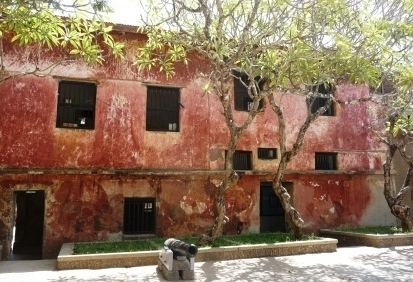 Fort Jesus is now a popular destination for foreign tourist, as well as for the local community. The Fort plays a vital role as a host for numerous research programs, a Conservation Lab, Education Department and an Old Town Conservation Office. In 2011 it was declared a World Heritage Site by UNESCO; highlighted as one of the most outstanding and well preserved examples of 16th century Portuguese military defense systems. 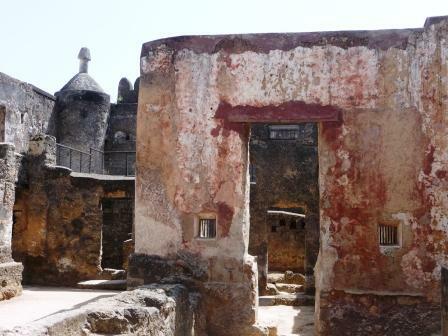 It is absolutely worth the stop and experience a bit of history while in Mombasa. 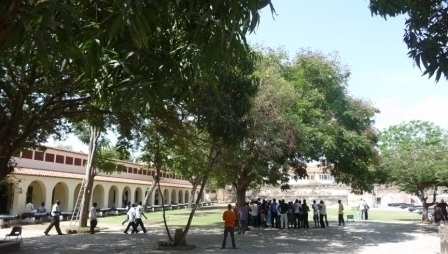 The inside of the Fort is a wide court yard with plenty of shade to take a break after wandering around. The different styles of architecture, colors and materials make for fantastic opportunities for pictures. 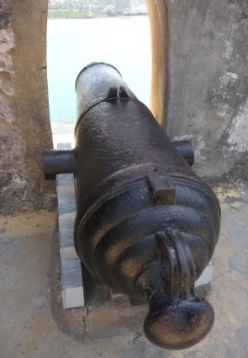 Of course there are old canon's throughout the fort that remind of the turbulent times this place has seen. 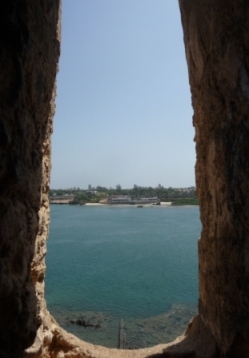 - The view across the channel to the other side of Mombasa is stunning. Fell in love with these red painted buildings and the contrast with the trees. It makes one forget that it used to be a prison until not that far back. 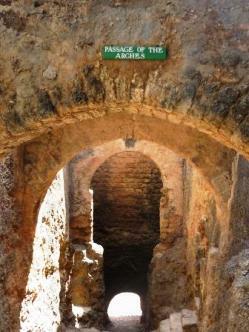 These arches lead the way into the fort from the ocean/channel; prisoners/slaves used to be smuggled into Fort Jesus that way (it gave me chills walking through there). 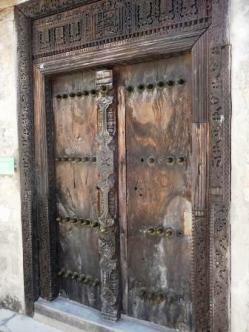 - The doors are simply stunning with their designs and wood works. Have you been to Fort Jesus? Please share with us!